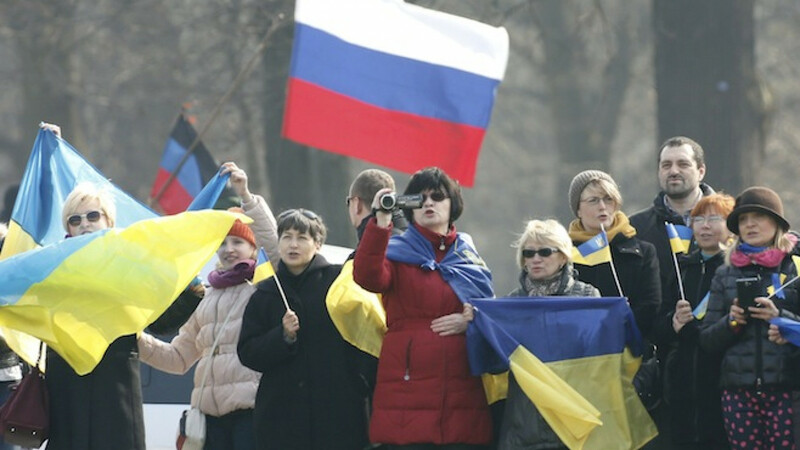 A Russian flag is waved behind Ukrainian supporters during a visit by Ukrainian President Petro Poroshenko at Bellevue presidential palace in Berlin, March 16, 2015. 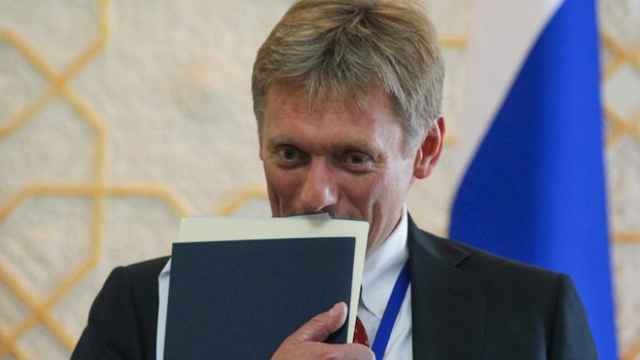 Russia expressed outrage on Friday over a "frenzied anti-Russian campaign" by U.S. media and political analysts, stepping up a war of words that has intensified during the Ukraine crisis. Ties between Moscow and Washington have sunk to their lowest level since the Cold War over the crisis in Ukraine, and each side has accused the other of waging an information war. The West accuses Russia of backing separatists in east Ukraine by providing them with weapons and troops, and Russia says the West plotted the overthrow of a Moscow-backed president in Kiev last year. Each side denies the accusations. Washington imposed sanctions on Moscow after it annexed the Black Sea peninsula of Crimea from Ukraine in March last year and stepped them up after the separatist rebellion began in east Ukraine the following month. The two nuclear powers and veto-wielding members of the UN Security Council are also at odds over many other international matters and differ on human rights and democracy issues.